6 September 2017: It is with tremendous sadness that I have to give the news that dear Ron passed away peacefully last night. Those of you who have followed him on his FB page will know that he was diagnosed with cancer earlier this year. Our thoughts and condolences go out to his family and friends. This website will remain in perpetuity as his legacy to the sporting traditions and social history of the Lake District. I never met Ron Black in person, but I knew him so well. We'd been carrying on an email friendship for years. Ron died of cancer on September 6 2017. Over the years our correspondence covered all sorts of subjects - foxhunting, politics, world affairs. (He was for Hillary, all the way.) He scoffed at us mounted foxhunters for our preoccupation with horses and fancy clothing, and he would start most notes with, "How are things in the Colonies?" His sense of history was a huge part of who he was. And it was to preserve the history of foxhunting in his beloved Cumbria, after the despised Hunting Act became law, that possessed him to start a website and begin collecting that history. That's how John Harrison became friends with Ron Black. 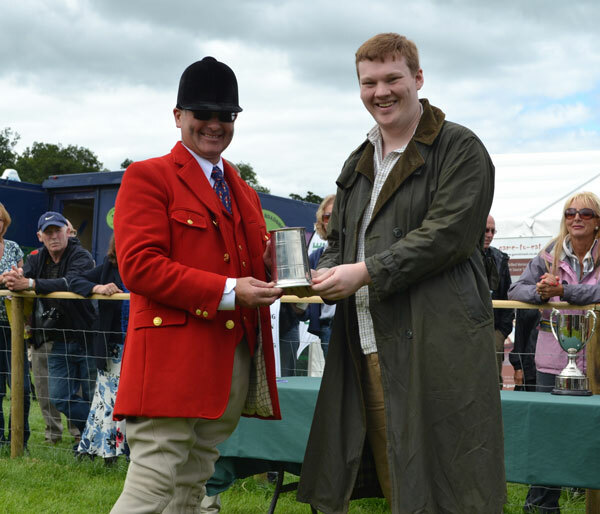 Harrison is currently hunting the Deep Run Hunt (VA) foxhounds, but twenty years ago Harrison was huntsman of one of the storied foot packs in the Lake District, the Ullswater Foxhounds. 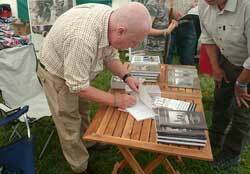 Ron was writing a book about the Ullswater. It was the hunt of Harrison's boyhood, and he had returned to England from Toronto and North York (ON) to take up the horn there. It is a hard and dangerous place: climbing borrans (stone piles), crags (cliffs), and crossing the scree beds (fallen stone from the crags). It's country that would ruin a horse the first time out. Harrison hunted the Ullswater hounds on foot there for eighteen seasons before returning to North America three years ago. All songs sung and recorded at the 2016 Mayor Making Supper held in Troutbeck Village Hall. Filmed by Paul Allonby and Jim Bowness. To order your copy call Paul on 015394 32577. Price: £10.00 if collecting from Paul or £11.50 including postage. £3 of each sale donated to the Coniston Hounds. 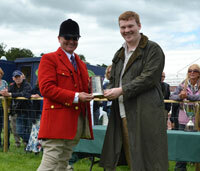 Anthony Chapman, a reknowned Lakeland huntsman, followed by many, respected by all. Another well researched book using original publications tracing his life and career. Ebook available from : Amazon : Smashwords : and all major ebook retailers. 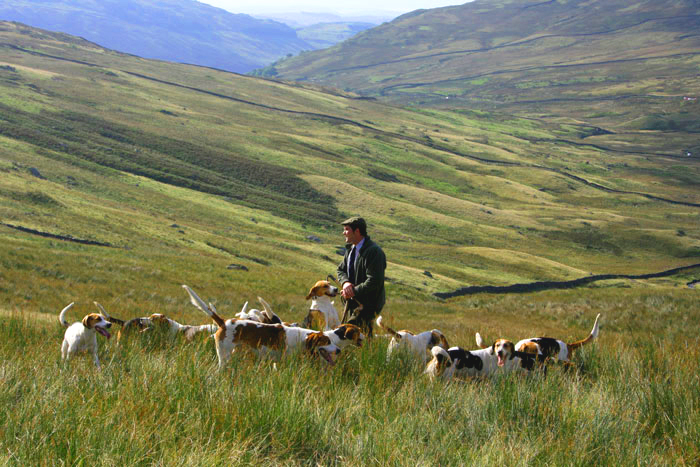 The story of Joe Bowman, legendary huntsman to the Ullswater Foxhounds, 'Auld Hunty'. Using referenced material, this is the first book on Bowman since 1921. Printed book now sold out. 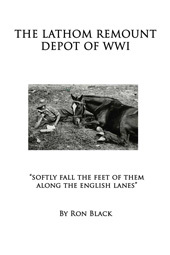 A moving account of the selection, care and training of the horses and mules that were shipped across the English Channel to play their important part in WWI. Many of them had already crossed the Atlantic before reaching the remount depot in the UK. Free ebook from	Smashwords and most ebook retailers. This site is dedicated to the memory of Robert Dixon of Rooking Patterdale who, on the morning of 27th November 1856, left home to follow the Patterdale Foxhounds. During the course of that morning he fell from Striding Edge on Helvellyn; critically injured he was taken home but died in the early hours of the next morning aged 33 years. I was told that 95% of Lakeland was unexplored in an Archaeological sense. With the abolition of fox hunting in 2005 there was a slight chance that places and structure(s) associated with fox hunting would in the fullness of time join them, lost in time and memory. "It was with this in mind that I began to compile material for this site. It is NOT my intention for it to glorify or be used as propaganda for or against hunting, but simply to record associations with a 'sport' traditional to Lakeland for over 300 years. "I am a native Lakelander with roots going back to 1700, the 4th generation to follow hounds, with ancestors who stood on the cold tops at dawn, moved the heavy lakeland stone to free trapped terriers and also 'carried the horn' on occasions. I hope this site is of interest to you. Hunting will not come back in the foreseeable future, perhaps not at all, but for three hundred years hunting and the church were the central thread to many communities. This is a part of the story." "Thanks to all the people who took the time to visit, I was genuinely humbled that so many of you liked the site and the books."